Two recent junior telco listings have been shunned by investors but they highlight the opportunities in the post-NBN world. To Vonex chief Matt Fahey, the intensifying rollout of the national broadband network (NBN) rivals the deregulation of the telecommunications sector in the 1990s as an opportunity for smaller challengers to pinch market share from the incumbent Telstra. It’s hard to remember that before deregulation, consumers had the choice of Telecom or Telecom and the then government-owned entity (now Telstra) made it clear it was a monopoly with its often abysmal service. Vonex is targeting Telstra’s soft underbelly of small to mid sized enterprises (SMEs), a sector that’s hard to serve because they require labour-intensive individualised services and offerings. Vonex’s strategy is similar to that of M2 Telecommunications, which built a thriving business from SME customers in effect discarded by Telstra (the acquisitive M2 eventually merged with Vocus in what became an unhappy union). M2 exploited the ‘churn’ at the time resulting from the switch from analogue to digital phone lines. Vonex’s focus is on private branch exchange (PBX) connections, not the old fixed-line variety but cloud hosted packages based on internet telephony. So far, Vonex boasts about 2500 customers accounting for 24,400 ‘seats’ (employees). These include multi-site operations such as the real estate agency Stockdale & Leggo, the Liberal Party, Deliveroo, Toyota Financial Services and the Australia Federal Police. Almost all of the customers have been winkled out of Telstra. Vonex doesn’t deploy a sales force of its own but instead signs up ‘channel partners’, local IT companies involved in telco services such as cabling and setting up networks. “They are our sales force and they are paid on results,” Fahey says. Vonex also operates a wholesaling business, which ‘white labels’ its technology to other providers including the listed telco and IT provider Inabox and Spirit Telecom. Combined, the direct and wholesale divisions posted revenue of $8.07m in the 2017-18 year, up 16 per cent and generating $1.32m of earnings before interest and tax. Vonex reported an unflattering bottom line loss of $14.7m, although $13.5m of this consisted of share based payment expenses. Vonex, meanwhile, has been beavering away on a conference calling app, Oper8tor. To be launched in Europe next year, the app aims to link voice calls from users no matter whether they use Skype, Whats App, WeChat, Viber, Google Hangouts or another social media platform. Fahey says Vonex has targeted Europe not just because of its capacious audience of 780 million people, but because they are more likely than Americans to provide constructive feedback rather than just deleting an app and moving on to the next shiny thing. While Oper8tor will be free to download, Vonex hopes to make money from advertising, premium products (without the ads) and good old mobile call charges. Vonex eventually listed in mid-June this year after a tortured history including an attempted back-door listing with Aleator Energy in 2016. The compliance aspects of the listing were botched, resulting in the $5m IPO proceed being refunded to investors. Vonex then mulled listings on both the London bourse and the local National Stock Exchange before a surprise ASX listing opportunity emerged. The company raised $6m at 20c apiece. The indifferent investor reaction post listing means the stock is valued at only $12m, or an $8m enterprise value taking into account the $4m of cash as at the end of the September quarter. As with Vonex, Mobilcom is a recent telco listing that’s been shunned by investors. 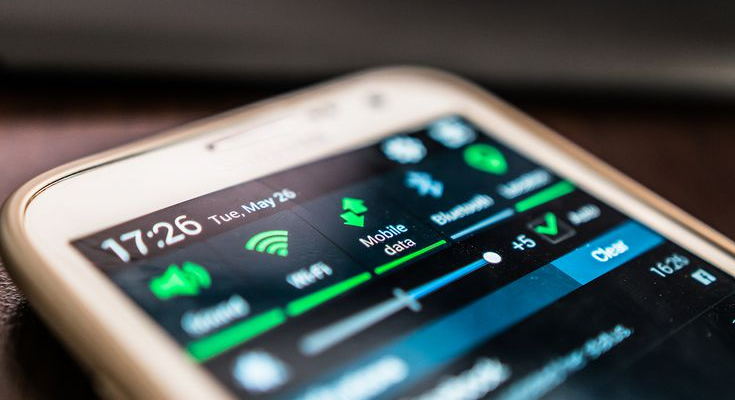 In contrast, the Israeli-based telco is not focused on stealing customers from other networks, but creating communications hubs for areas where current wireless or satellite coverage is non-existent or too expensive. Put another way, Mobilcom provides private mobile networks without the need for existing infrastructure. Founded a decade ago and listed since May 2007, Mobilcom’s original emphasis was on government applications for critical infrastructure, or to enable police or emergency services to set up communications around a disaster scene. One application is for oil rigs to communicate with supply vessels and helicopters, or for a mining operation to talk to its trains or trucks (manned or otherwise). Clients include Israeli Ministry of Defense, ExxonMobil and General Electric. In the case of the oil industry, it’s common to pay up to $300,000 per vessel to acquire the tracking antennae to a satellite. Now, Mobilcom is eyeing a potentially bigger market: the $100 billion-plus industrial drone sector. To date, 50 global drone and robotics makers have bought Mobilcom’s SkyHopper systems as original equipment to include in their manufacturing processes. The systems control a drone’s communications, video, sensors and data collection function that account for half of the value of a typical unit. Mobilcom recorded revenue of $1.42m in the June (first) half, 75 percent higher and narrowed its loss from $4m to $1.28m. In the September quarter the company recorded receipts of $654,000 and cash burn of $632,000. Mobilcom raised $7.5m when it listed and still has $6m in the bank without any subsequent raisings. “We have a stream of revenue we consume little of our own funding which give us two years to execute our strategy and get to cash flow positive,” Elkayam says. Despite the drone potential, Mobilcom has struggled to excite investors and Elkayam concedes the company would have a higher valuation on the US market (Mobilcom was the first of a string of Israeli tech plays to reverse list on the ASX at the time). As with Vonex, the stock is trading at around half its listing price, for an $18m market cap and a $12m enterprise value.